I have always had a penchant for formal wear. 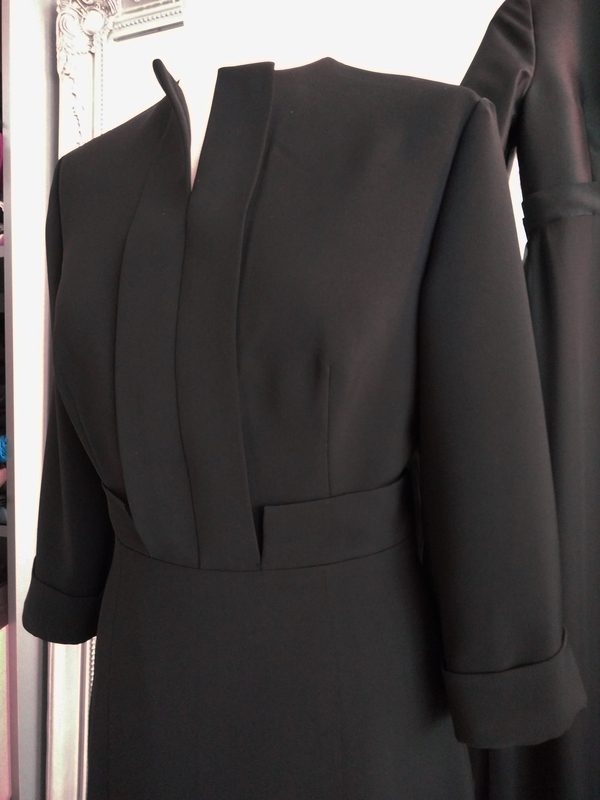 The structure, the strict lines and conservative flare have captivated my heart, although majority of my creation and experience has been from working with flowy and light silk satin and chiffon for occasion wear. Formal wear is a change and treat for me. Even more so if a little twist is added. Occasionally I find moments to execute my own ideas and these creations find their place on the rail of samples….my eclectic sample collection. 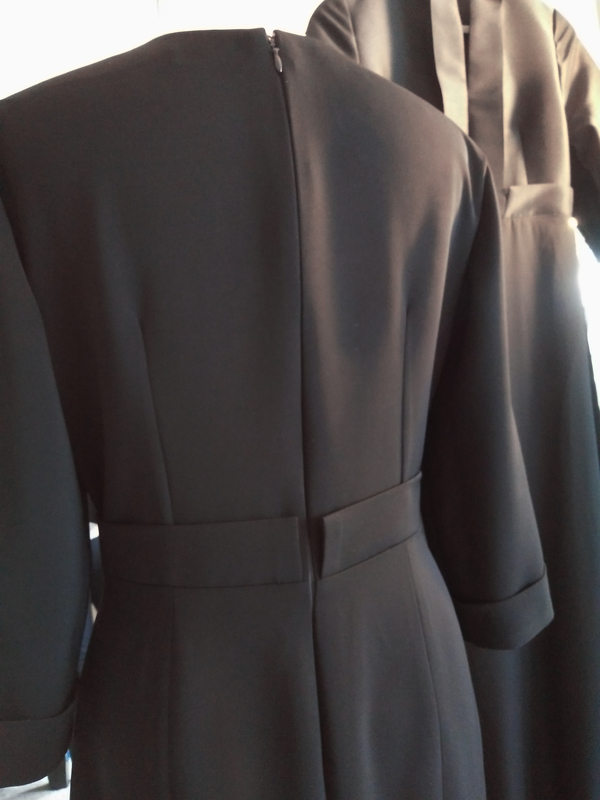 I was very glad when the client picked this design out of the samples on the rail and wished a similar dress to be made to measure for her to wear to work. She is a lawyer and that profession requires a certain mix of formality, structure and comfort from the clothes. With this dress it was important to look professional, but still maintain a sense of individuality. 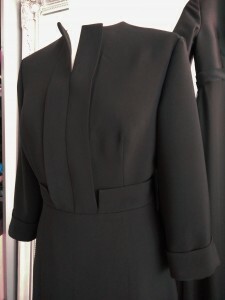 The dress has fold out front panels that merge perfectly with waistband and cuffs. It also creates lines, corners and dimensions that compliment the figure and set the dress apart from others. 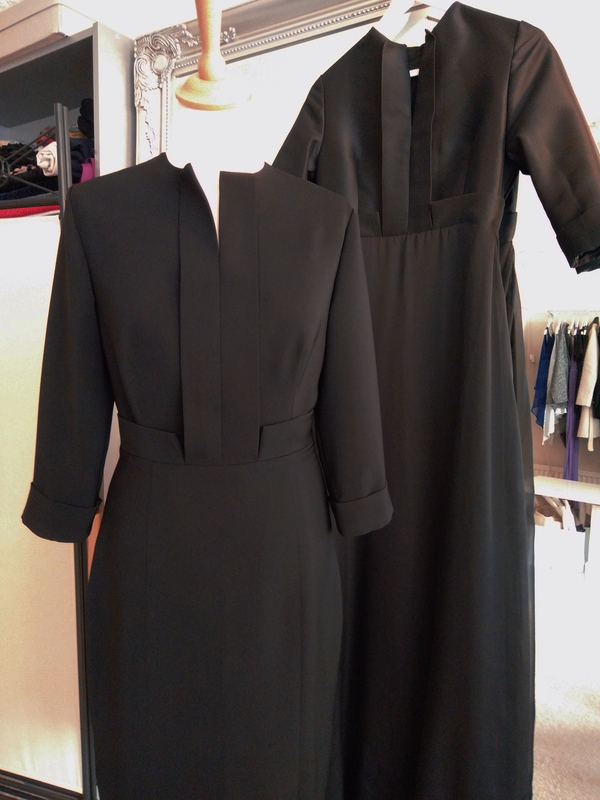 Dress is made from crepe fabric and lined with satin that gives the good tailored fit and comfort. 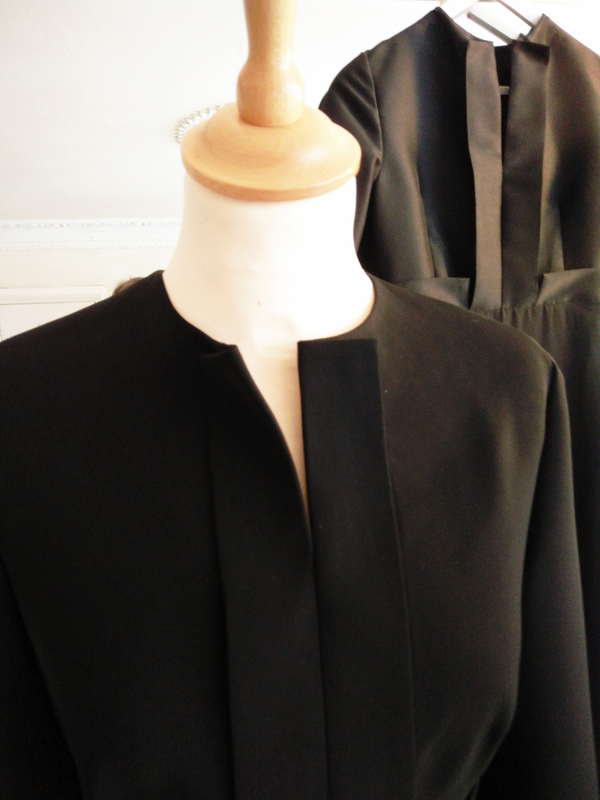 The clean crisp matte finish of the crepe and black colour also contribute to chic classy formal look. May this dress bring many wins!